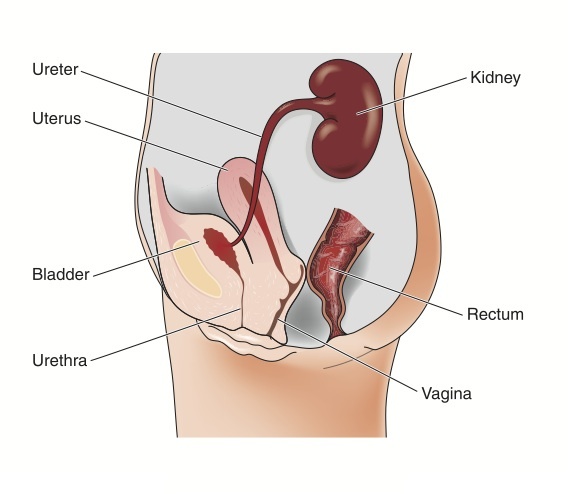 A bladder infection is a type of urinary tract infection that affects both men and women. Women typically have fewer complications associated with bladder infections and treatment tends to be short and swift. Men, however, have a prostate gland which may be affected by the infection making treatment more difficult or complicated, in some cases. Otherwise healthy adults may find they are affected by a bladder infection without a true understanding of how the infection started. In some cases, the causes of a bladder infection may be intertwined. For instance, if a woman comes in contact with condoms with spermicide on a regular basis, she may suffer from recurrent bladder infections. Using condoms without spermicide may reduce the risk of future bladder infections, but her history of recurrent bladder infections causes an increased risk. The symptoms of a bladder infection may be associated with other health conditions. Before assuming a bladder infection is the cause of symptoms, it is best to see a healthcare provider. You may experience one or more of the following symptoms. If you have any of these symptoms in addition to the symptoms of a bladder infection, it is important to seek medical care immediately. Some of the symptoms of a bladder infection are similar to symptoms of other conditions like a yeast infection or an inflamed urethra. A bladder infection is a painful condition that can appear out of nowhere. With a bout of antibiotics, the condition is typically cured quickly, but avoiding the doctor can leave room for the infection to spread to the kidneys.